While many students in Philadelphia are learning about solar power in their textbooks, few are able to learn about it the way Workshop School students do. 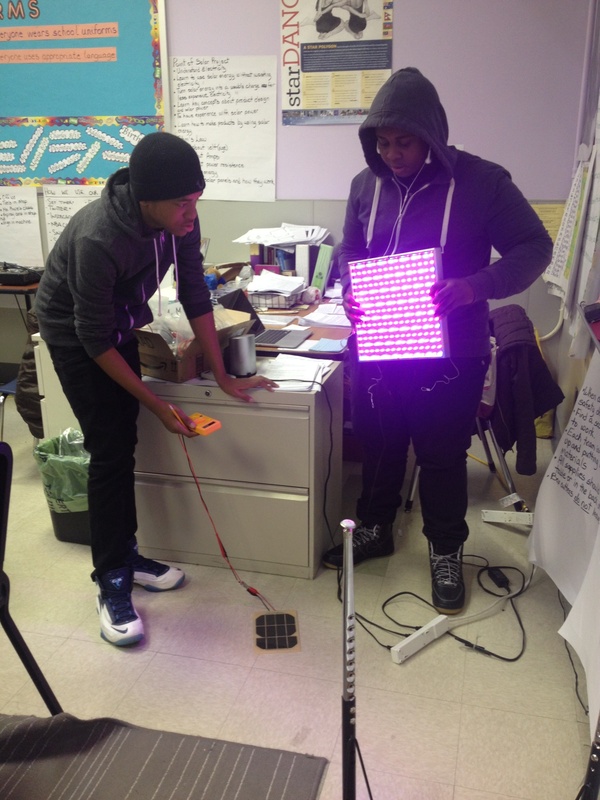 Currently, the sophomores are studying solar power in one of their project blocks. First, students are learning about the basics with hands-on experimentation. However, after they master the nuts and bolts (or shall we say the rays and volts?) of solar power, they then will be designing their own “wearable technology” that makes use of solar power. Let’s just say this end-product is a slightly more electrifying exit-ticket.